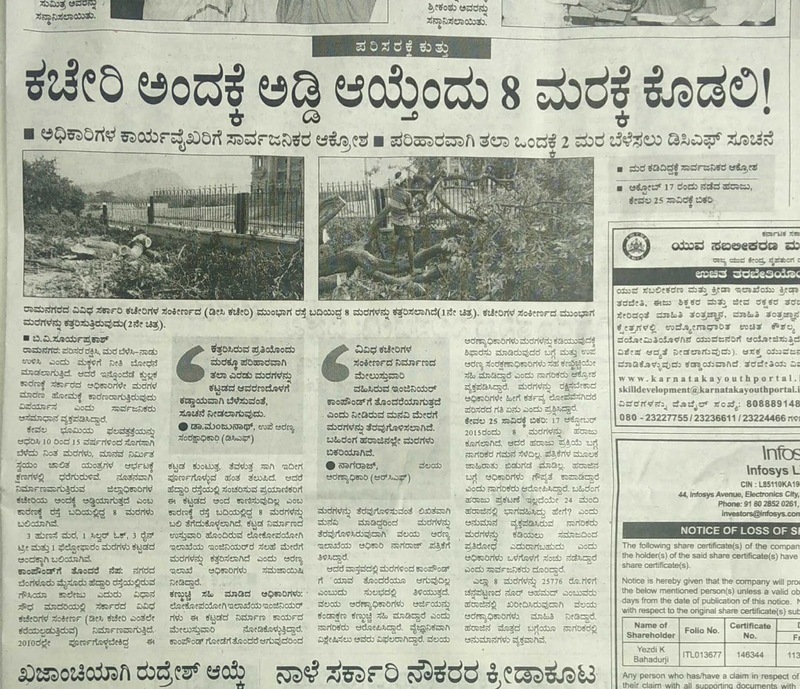 Ramanagara District: 8 trees axed for silly reasons! 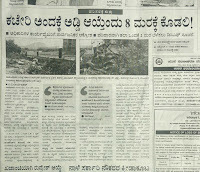 8 trees beside Bangalore-Mysore National Higway were axed by the Ramanagara District Forest Department for silly reasons. 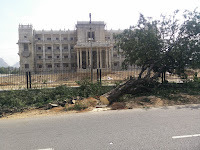 The trees were in front of the huge building coming up opposite to Ghousia Collage of Engineering where the district administraion office will be housed is nearing completion. 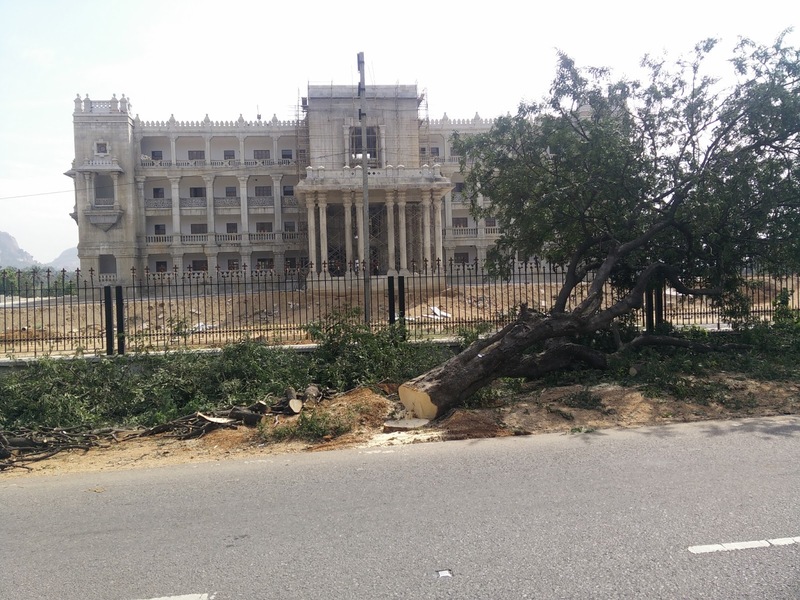 The Public Works Department (PWD) engineer who is supervising the construction work felt that the beauty of the building (the elevation resembles Vidhana Soudha of Bengaluru) was not in the full gaze of the travelling public on Bangalore-Mysore Highway. Hence, he wrote to the forest department to cut down the trees! But in the request to the forest department he has written that the trees in the future might break down the compound wall! The reason is stupid as the gap between the compound wall and the trees are atleast 6 feet. The trees which were 10 to 15 years old would not have done any harm for another 30 years. The forest officials DCF & RCF without bothering to study the implications of the trees, have blindly signed the order to axe the trees. It is pity that the District Commissioner nor any official of the district administration have bothered to save the trees. While reacting to the press, Vice President of Karnataka State Farmers Association has said it is sad that officials without valid reasons have felled trees. He said the forest department has hurt the nature loving public and Salumarada Timmakka who hails from this district is known world wide for growing more than hundred trees in Magadi Taluk.